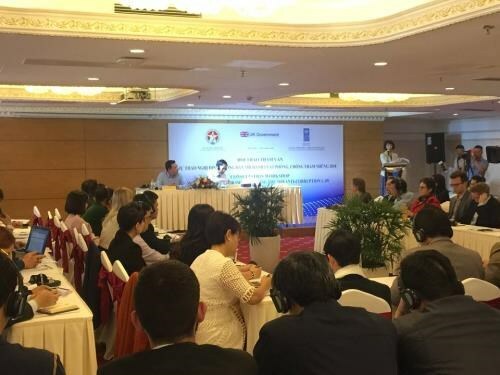 Hanoi (VNA) – The UN Development Programme coordinated with the Government Inspectorate of Vietnam (GIV) to hold a consultation workshop in Hanoi on March 27 on a draft decree guiding the implementation of the anti-corruption law, which will take effect on July 1 this year. The workshop is part of the project on promoting a fair business environment in ASEAN sponsored by the UK Prosperity Fund. In opening the event, UNDP Deputy Country Director in Vietnam Akiko Fujii emphasized that corruption is among the biggest hurdles in the path of realising sustainable development goals by 2030. She hailed Vietnam’s efforts in preventing and fighting corruption, noting that the country had ratified the UN Convention against Corruption in 2009, revised the 2017 Penal Code to include major changes in criminal treatment towards corruption crimes, and passed the new Law on Corruption Prevention and Combat in 2018. The UNDP representative pointed to a new point of the new anti-corruption law, which expands the scope of the anti-corruption fight to the private sector. She said all those efforts demonstrate Vietnam’s commitment to realising the Sustainable Development Goal 16, in which substantially reducing corruption and bribery in all their forms is one of the main indicators. Representing the decree drafting board, Nguyen Tuan Anh, deputy director of the GIV’s Legal Affairs Department, said the decree will include detailed stipulations on the time limit during which former officials are banned from establishing or running a company in the sector they had worked in, as well as on the practice of giving gifts, and measures to prevent and combat corruption in non-state sectors and organisations, among others.